Most families that choose to work with us are planning to send their children to private colleges in the U.S. 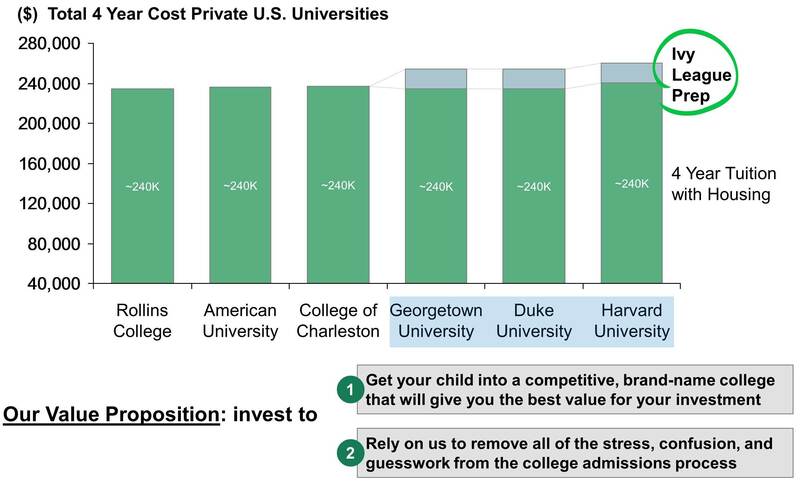 Since private college tuition with room & board in the U.S. is, on average, ~$60K / year, these families are committed to a substantial investment in the future of their children. Tuition costs, however, do not vary greatly between highly prestigious universities like Harvard and smaller, less prestigious schools like Rollins College ($60K at Harvard compared to $59K at Rollins). Parents should invest in their children and ensure that they are best positioned to gain admission to the most competitive schools possible—especially since the total investment in tuition does not really vary across schools.